Heat a large pan and drizzle in some olive oil. Season patties with cracked pepper and place in pan. Cook for 5 minutes on one side, then turn and cook for a further 5 minutes. Place a slice of Cheddar onto each pattie to warm through. 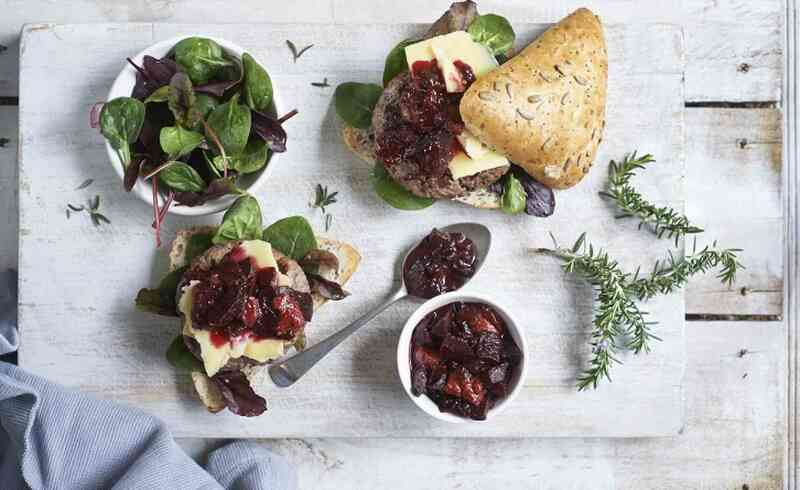 Place a spoonful of jam onto the base of each toasted bun, then top with a handful of leaves. Slide the cooked pattie and Cheddar on top of the leaves then top with remaining jam and toasted bun lid.